The Snap Chalk Pocket is ideal for sport climbing. 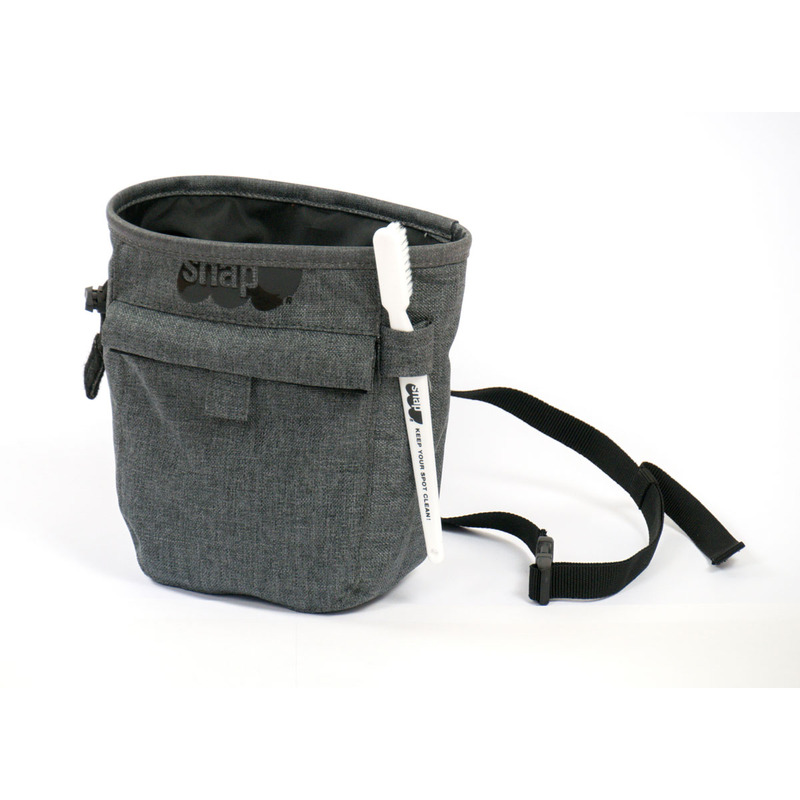 It comes with a brush holder, drawstring closure, a belt, and a handy pocket. No idea about the 'Scratch' part unfortunately. Definitely not scratchy.